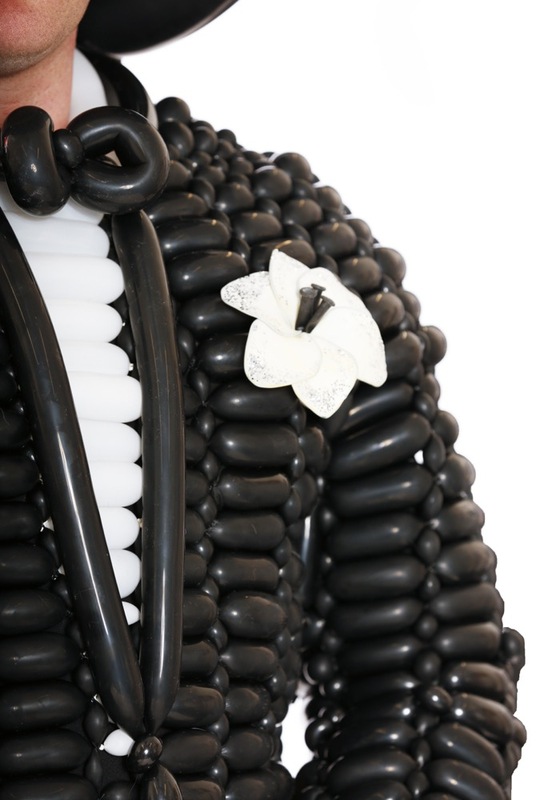 Balloon Tuxedos by World Inflated: We couldn't leave the boys out! We got sick of hearing the guys complain they never get to wear anything fancy, so we fixed that! 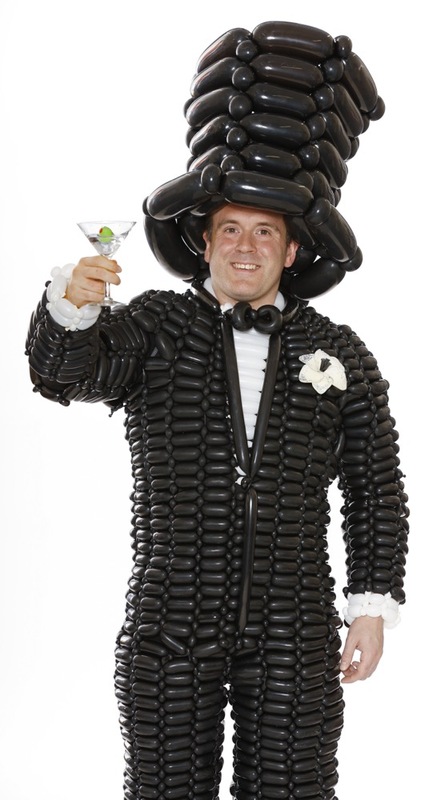 World Inflated is now offering balloon tuxedos and suits! Happy now? Do you have a fancy occasion coming up? Great! 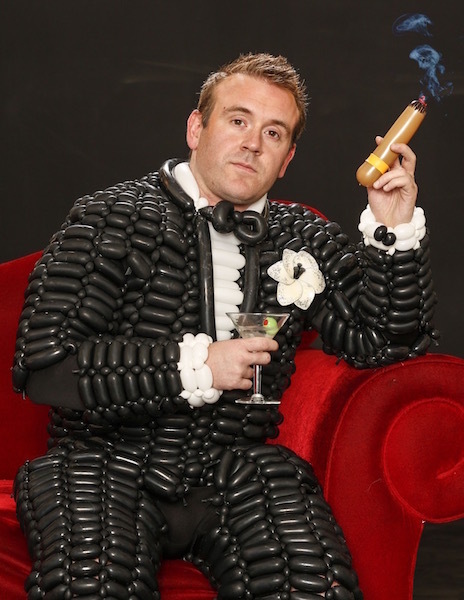 We want to dress you in the fanciest balloon apparel. We will balloon suit you up for weddings, proms, Bar Mitzvahs, or any other occasion that requires something, fun, fabulous, and wonderful! Check out what we did for Cosmo Magazine! World Inflated embraces the weird, and wonderful, so if you want to stand out at your next event, we want to help you do that! 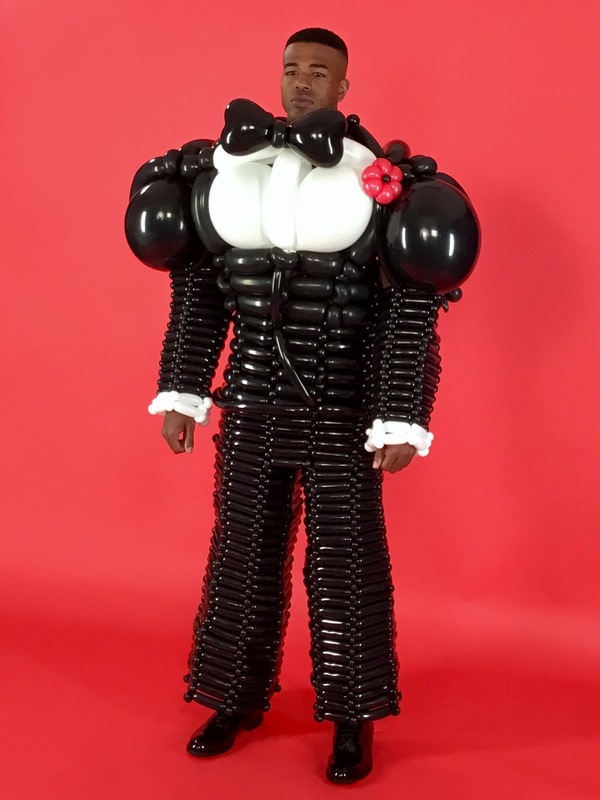 Let us put you in a balloon tuxedo!